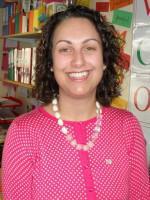 My name is Mrs Nina Thrower and I teach in many different year groups covering PPA time. I have worked here for 15 years and have taught lots of incredible children. I have 2 young children at home who keep me very busy too. In my spare time I enjoy reading, visiting places of interest and enjoying family time.